At first, I was very skeptical to use this product when the package arrived to me. My first thought when I looked and swatched it was, "Man, that's shimmery!" It is weird that this product is marketed as a face powder when it got tons of shimmers in it. Who would have thought to put shimmers all over their face? But oh life as a beauty blogger, I decided to just give it a go. First, I am not fond of the packaging. Personally I think it is unnecessarily bulky. It does comes with a mirror and a brush too which is great. But man, the brush is so stiff and rough that I feel like it will irritate my skin if I am using it for a powder brush. 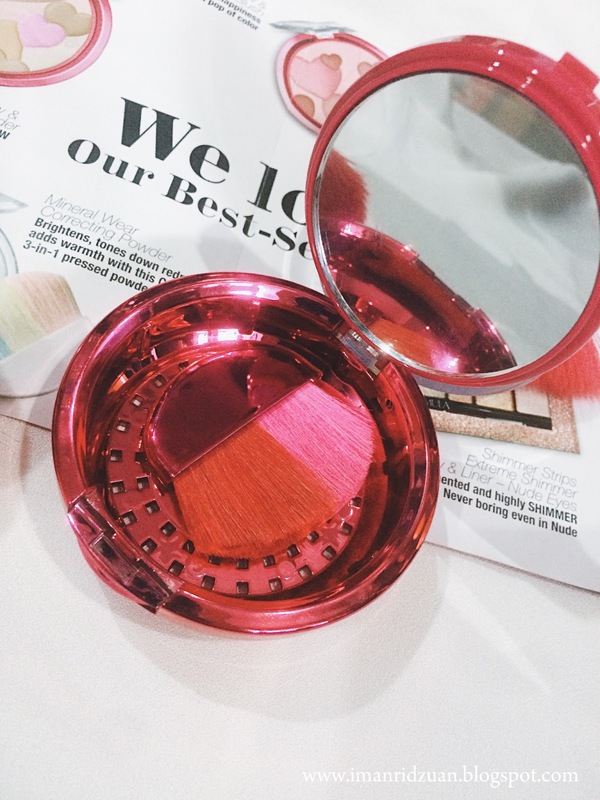 A powder brush shouldn't be densely packed. If you were to use this over a foundation, it will just move your foundation around because it is so stiff and dense. So I wish they could've just skip the brush and come up with a more compact packaging that won't take as much space to travel with. Plus it is very plasticky and feels kinda cheap too. The color tho, I love! The powder itself comes with a cool design. The hearts are each pigmented with different colors so it is a bit misleading there considering the name 'Translucent'. People who buy this solely thinking that it's gonna be a translucent powder might be a bit disappointed because it's definitely not. Especially that one pink heart. THAT is pigmented like it wants to be a blush. Formula wise, this powder is soooo soft and fine. The shimmers are real guys, I really thought that it could be one of those disappointing products where the shimmers are just an overcoat spray. But I've used this powder for a lot of time now and the shimmer game is still strong. Like I said, I was very skeptical to use it at first so I started using it as a highlighter first. And yes, it does work as a highlighter, but a very subtle one. And you do have to build it up to make it more visible. 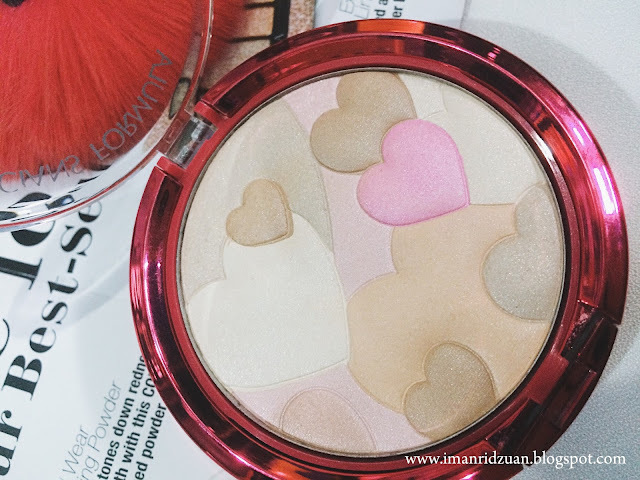 If you're a beginner to highlighter, this would be a great one to try. But for me, I loveeeeeeee my Mary Lou Manizer from The Balm so much that I was so intrigued to use Mary Lou on top of it to intensify the highlight, but homegirl needs to test out the product so ughhh. I mean it's not bad, it's just not enough for me. I want to be highlighted like KLCC at night lol. And remember that pigmented pink heart? 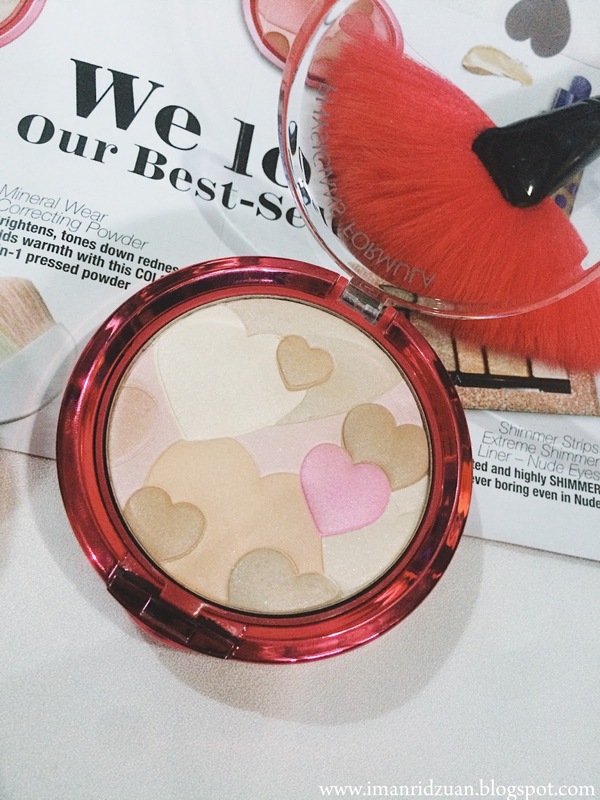 Your highlight will be pink based unless you avoided the pink heart when swirling your brush into the pan. I am more into a gold and yellow based highlight so that's probably another reason why I am not really feeling it. As for an overall face powder, I am loving it for that surprisingly. See photo above. When I swatched it on hand, I was so scared to see all those shimmers but for some reasons it does not actually make me look like a disco ball! Then I remembered, isn't the Mineralized Skin Finish from Mac is pretty much the same thing? The shimmers are so fine that it kinda makes me look like I glow from within. Especially in indoor lightings, man it looks so good. And the pink heart just adds a nice fleshed look for my skin. Just make sure you using a loosely packed brush to ensure that you're not picking up too much product. I wouldn't recommend it for people who prefers a matte finish makeup look because obviously, duh. But isn't the new era now is all about that glowy and dewy look? 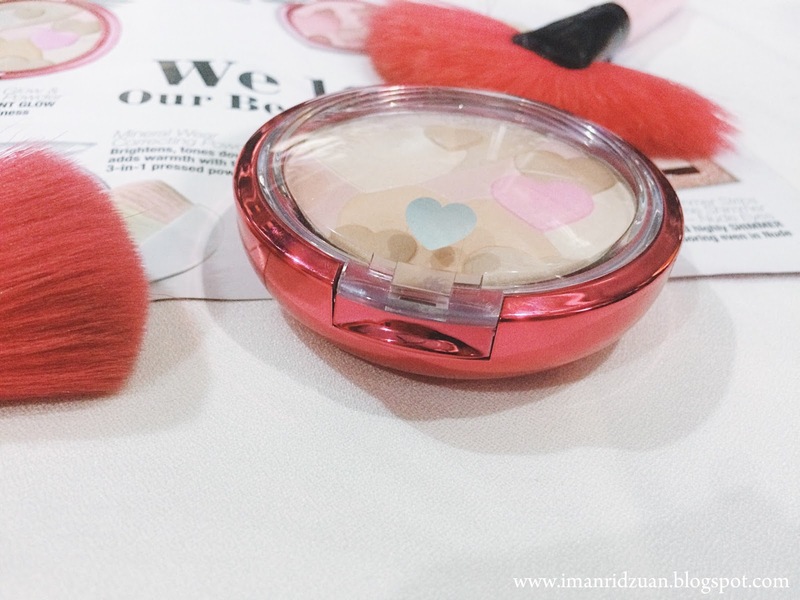 Especially to those girls who adores korean's dewy makeup, go for it! 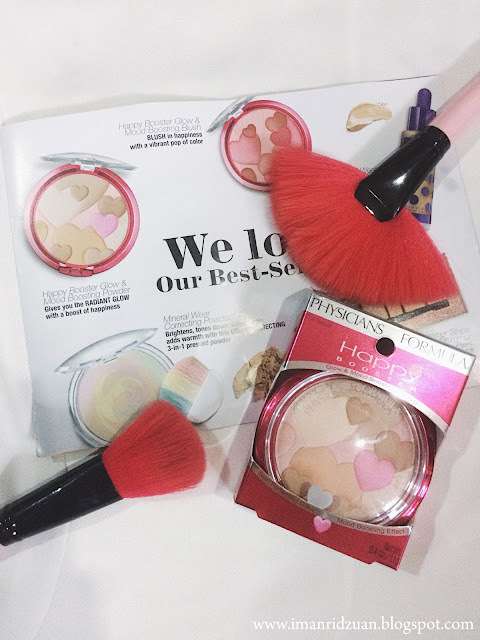 But I would advise to stay away from this powder if you have enlarged pores because sometimes, glitters and shimmers will just make them look even more obvious. And of course, people with super oily skin would want to avoid being extra shiny with this stuff. But who knows right, makeup is very personal. Whatever works for me may not work for you and vice versa. Disclaimer : Product is sent to me by BFFsays.com for review purpose. However it does not affect my opinion at all matters and everything written is solely honest.